A new study published in the Journal of the American College of Cardiology shows that frequent use of lead aprons to protect medical professionals in the interventional lab and radiology departments from radiation exposure is associated with increased musculoskeletal pain. Researchers at the Mayo Clinic in Rochester (MN, USA) surveyed employees to determine the prevalence of work-related medical conditions associated with interventional lab and radiology employees, as compared with other healthcare workers. Fluoroscopically, or X-ray guided, interventional procedures performed by cardiologists and radiologists have become increasingly complex. As a result, these specialists spend more time being exposed to radiation and wearing heavy protective lead aprons. For this study, an email survey was sent to 2,682 employees of the cardiology and radiology departments of the Mayo Clinic Health System facilities. Participants were asked questions about their work environment such as the use of protective gear as well as questions about specific medical conditions, including pain, cataracts and cancer. Employees who were required to wear a lead apron reported more work-related pain and reported seeking medical care for pain more often than the control group. Those who reported more pain were more likely to be female, were exposed to radiation more times each week and wore a lead apron more frequently. Pain was reported most often among technicians (62 percent) and nurses (60 percent), followed by attending physicians (44 percent) and trainees (19 percent). "More attention and effort needs to be directed toward improving the physical stresses that interventional lab employees endure," said Mandeep Singh, MD, professor of medicine, interventional cardiologist at Mayo Clinic (Rochester), and a study author. "Efforts should be made to limit procedure times and for regular ergonomic evaluations. Technicians and nurses may benefit from periodic rotation out of the lab." The survey showed no difference in the rate of cataracts, cancer, hypothyroidism or nephrolithiasis, which are all associated with exposure to radiation. However, the researchers caution that the study would need additional screening and longer follow-up to accurately assess risks for these conditions from radiation exposure. In a related commentary, James A. Goldstein, MD, director of research and education, Department of Cardiovascular Medicine, Beaumont Health System, Royal Oak, Michigan, says the findings in this study advance the fields of cardiology and radiology because they further confirm previous findings that working in the field of x-ray interventional procedures poses a significant risk for orthopaedic injury and do so using a much larger number of respondents, employee age-matched controls, and both physician and non-physician allied health personnel. "In training, we are taught the hazards of radiation exposure and methods for alleviating it," writes Dr. Goldstein. "However, it is only human and practical for us to care for our patients without further thought of the risk of injury to ourselves." He notes that growing technology, such as ceiling-suspended individual lead aprons, shielded gloves and shielded scrub caps, is facilitating less radiation exposure and less pain, and he remains hopeful that this trend will continue. Lower Smoking Rate But Higher Lung Cancer Mortality? 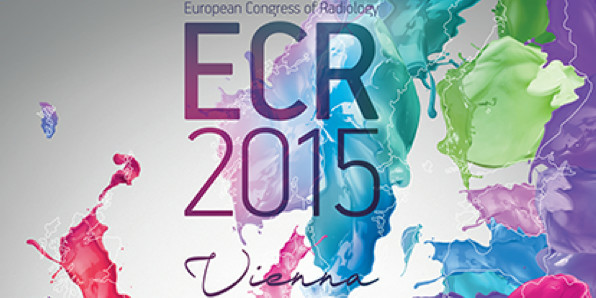 #ECR2015: Radiologists - Doctors or Imagers?